Premium Outlets - International Dr. Premium Outlets - Vineland Ave. 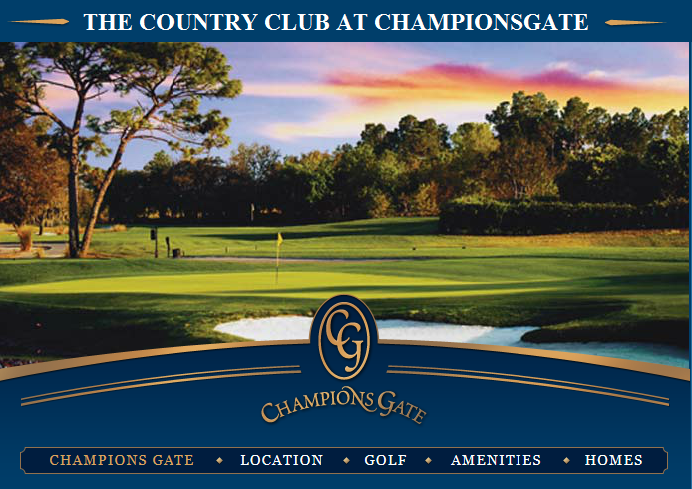 Using the beautiful elevation changes and contours of the natural landscape, George Clifton has created Central Florida's newest golf gem. Our 18-hole masterpiece is a combination of beauty and playability. With expansive white sand bunkers and mature true greens, the golfing experience is truly one of a kind. Laid out through Lennar's master planned ChampionsGate community, our golf course is enhanced by the stunning elements of the homes and world class Oasis Club. The club features a four tee system that can accommodate golfers of all levels. The professional tees measure an impressive 7,058 yards and boast a rating of 74.4 and a slope of 134.